Sound is really complicated. This week we learned how sound is produced by vibrations. Mrs Marini passed around her mobile phone so we could all feel it vibrating, then we put our hands on the front of our throat while singing Let It Go and Gangnam Style. This was for us to feel the vibrations of our vocal chords while we were singing. We also felt sound vibrations through a balloon. We watched rice bouncing on a tambourine when the drum was hit and the drum skin was vibrating. We could even hear the sound vibrating! 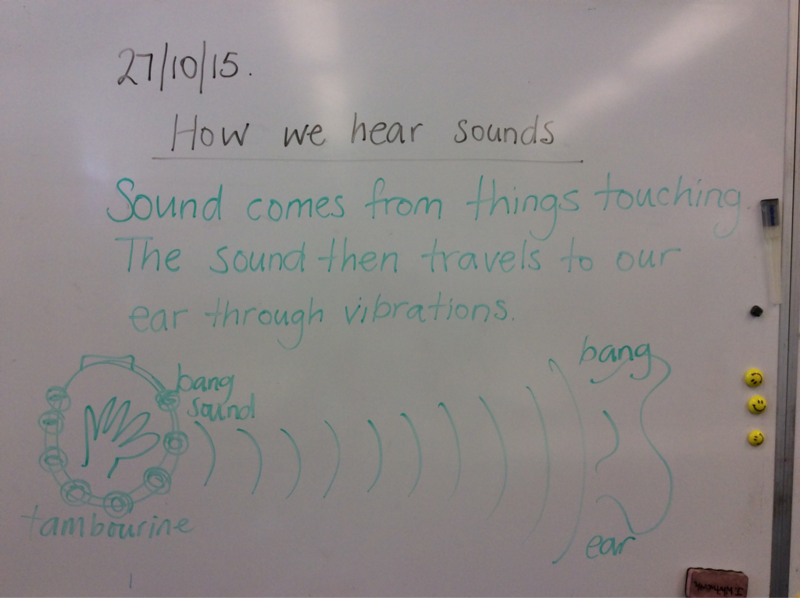 We drew a labelled diagram to show how the sound travels through vibrations.